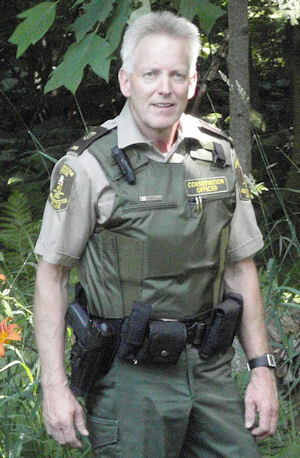 The Ontario Ministry of Natural Resources and the Ontario Conservation Officers Association are pleased to announce that Dave Beavers has been selected as the 2012 Conservation Officer of the Year. See this link for the August 27 OCOA Media Release. 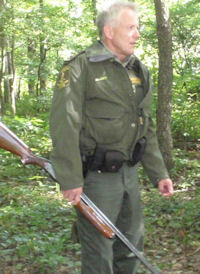 Dave Beavers began his conservation officer career in the Aylmer District in 1982. 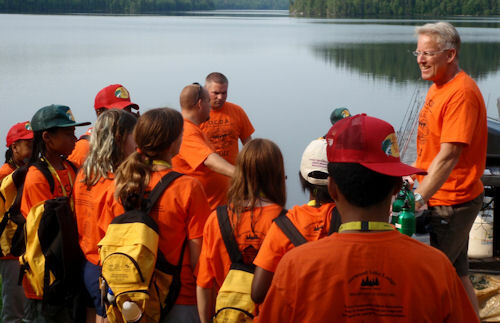 During his career Dave has been an active member of several MNR committees, participating in various initiatives focused on improving/promoting the profession of a Conservation Officer for the benefit of all officers across the province. 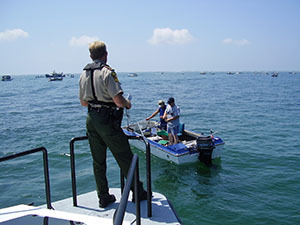 Investigation of a person accompanying new Canadians to the licence issuers, providing false hunting accreditation so the individual could obtain an Ontario hunting licence without having to take the hunter safety course. The investigation revealed that the suspect had illegally obtained hunting licences and committed fraud over a two year period. Approximately 26 illegal Ontario hunting licences and applications were seized, several charges were laid resulting in fines ranging from $300 to $2,500. 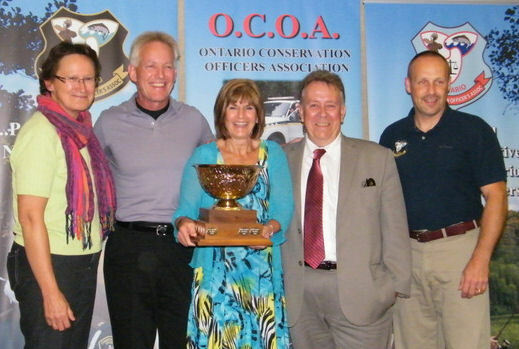 Dave was nominated for the 2012 Officer of the Year Award by his peers, and was selected to receive the award by a provincial committee comprised of natural resources law enforcement staff, including representatives of the Ontario Conservation Officer’s Association. The official awards ceremony took place at the annual OCOA Conference in Ottawa, August 18. The Honourable Michael Gravelle, Minister of Natural Resources made the presentation to Dave, along with Enforcement Branch Director Lois Deacon, and OCOA President Mike Duncan. Officer Beavers was awarded the Peace Officer Exemplary Service Medal (POESM) for 20 years of service as a conservation officer at the POESM ceremony in 2009 and will receive his 30 year bar in 2012. We would also like to officially acknowledge and congratulate Mark Bailie and Mitch Phinney for their nominations for the 2012 OOY award. The Officer of the Year Award acknowledges Officers like Dave, that have demonstrated the highest level of dedication and professionalism amongst our ranks and pays tribute to the high quality of Conservation Officers in the Enforcement Branch. Please join us in congratulating Dave Beavers as our 2012 Conservation Officer of the Year!